In this video interview, legendary recording engineer Ken Townsend reveals how he invented Artificial Double Tracking, what his original setup was like, and why the classic effect became a Beatles favorite and an indispensable part of the Abbey Road recording process. 15 Jun	This entry was published on June 15, 2014 at 9:11 am. 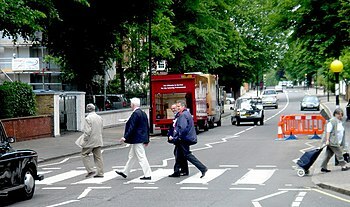 It’s filed under Documentary, Video and tagged Abbey Road, Abbey Road Studios, Audio Engineers, Automatic double tracking, Beatles, John Lennon, Ken Townsend, Revolver. Bookmark the permalink. Follow any comments here with the RSS feed for this post.